← Wideo Wednesday: The Shuttlecraft Galieo Rides Again! For this week’s Fan Art Friday, here’s a great, dynamic piece by young artist Crazitty on Deviant Art. The hands , facial expression and shadow are particularly intense. Crazzity is only 19, and from Sweden. I am always amazed and delighted that these original Trek Characters still create an artistic buzz nearly 50 years later! I hope we’ll see much more from this talented artist! 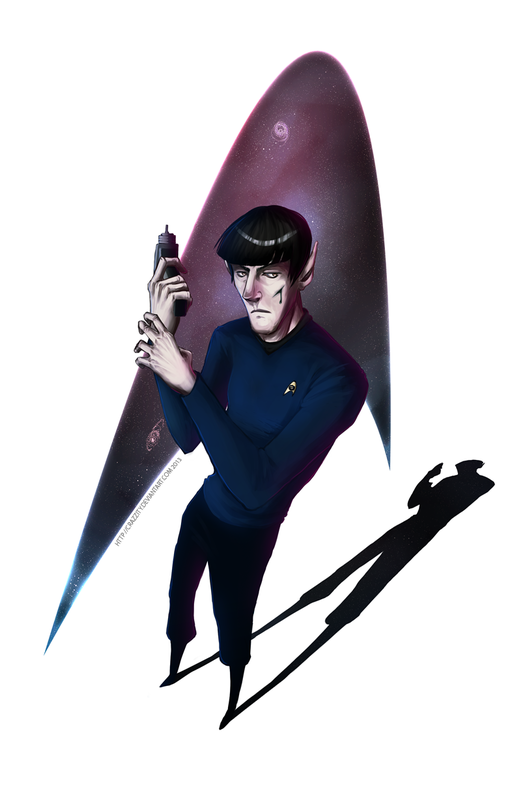 This entry was posted in Fan Art Fridays (FArFri) and tagged Artist, Crazzity, Spock, Star Trek. Bookmark the permalink.